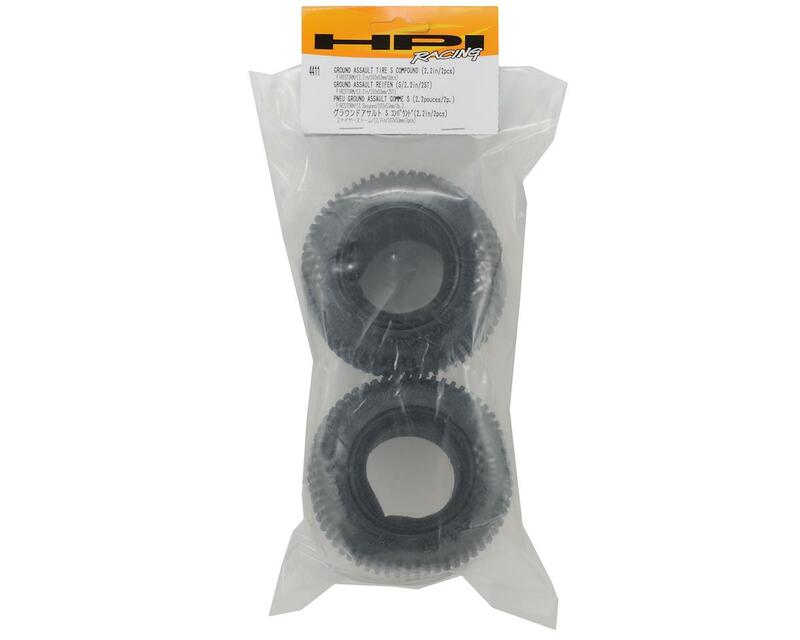 This is a set of replacement HPI 2.2" Ground Assault Truck Tires. 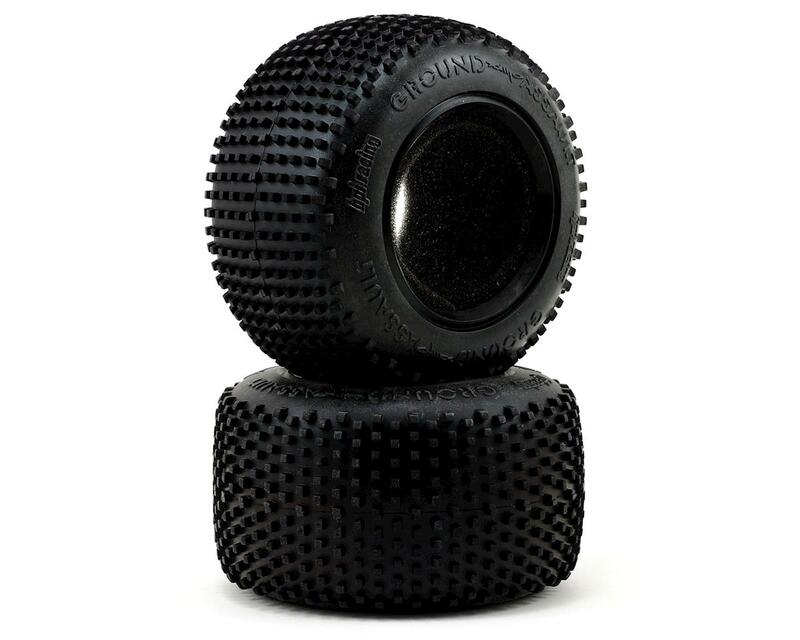 HPI Racing is proud to introduce Ground Assault tires for the popular 2.2” wheel size, perfect for the rear of most 1/10th scale 2WD trucks and all four corners of 4WD trucks! The Ground Assault tires feature square pins for durability and high grip. The rounded contour allows consistent traction on uneven surfaces, high grip in the corners, and low resistance on straightaways. Internal tire ribs help prevent deformation at high speeds and strengthen the tire so that soft compound rubber can be used. Bought these tires for my savage xs. Amazing wear, and good traction on pavement, outdoor basketball court and grass. I bought these because its treat seemed like the 1/10 buggy bow-tie. But...everything finishes there. Into the hard-packed with some dirt on top...absolutely disastrous. Like ice. I know that almost nothing gets a 1/10 truck on the track with this conditions, but after these, a Caliber, Losi Pin and an incredible Double Dee's performed quite well. Cheap, but not good for me. BTW, they smell badly, like toxic.